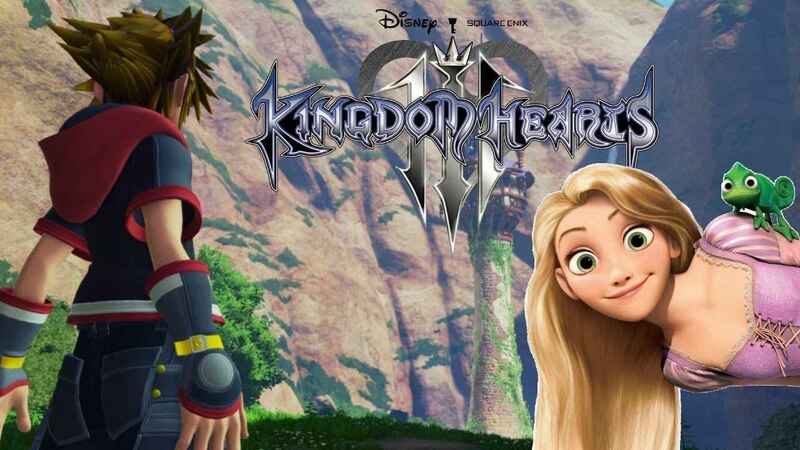 With Frozen confirmed for Kingdom Hearts 3 earlier this week the latest Disney-Final Fantasy hybrid over ten years in the making is starting to take shape. There are so many, in fact, a few might have slipped through unnoticed by some the of the series’ less zealous fans. That being the case, we’ve scoured the internet looking for each and every world confirmed to date, collecting all those we could find together in this neat little package for you to peruse at your leisure. One of the most exciting new worlds to appear in Kingdom Hearts 3 – not because we might have an opportunity to belt out the lyrics to ‘Let it Go’, but because of Arendelle’s gorgeous, frigid landscapes. 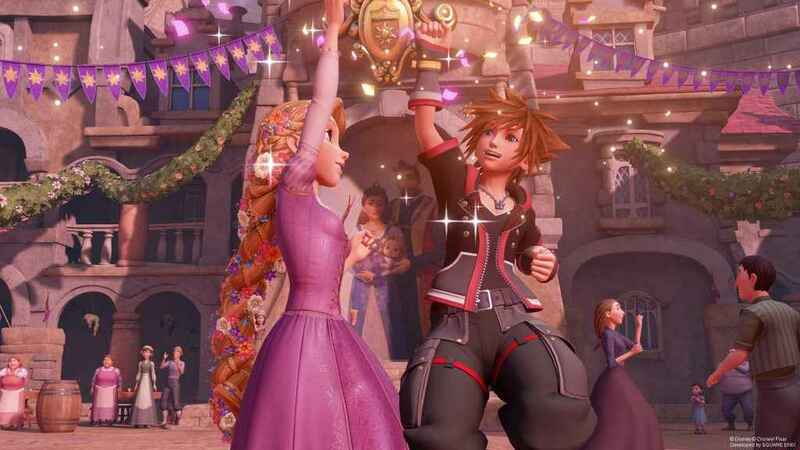 As with many of the Disney worlds we see in Kingdom Hearts, Sora and the gang arrive before happily-ever-after has been secured at the end of the film, finding a troubled Elsa still coming to terms with her powers. They don’t have long to brood on her predicament, as Arendelle is currently infested with icy heartless. We’re not quite sure how Elsa fits into the story at this stage, but it seems clear we’ll be spending some time with Anna, Olaf, Kristoff, and Sven during our visit to Arendelle – when we’re not using Goofy’s shield as a makeshift snowboard, anyway. The vibrant land of Corona is the next on our list. First revealed way back in 2015, Corona looks impressively large from what we’ve seen so far, offering the kind of exploratory opportunities we’re expecting from a mainline Kingdom Hearts Game on next gen hardware. Thankfully, Rapunzel seems more than happy to help Sora traverse Corona’s verdant plains and mountainous terrain, using her famously long tresses as a grappling hook (what is it with modern games and grapples?). And it looks like both Rapunzel and Flynn Rider are able to lend a hand during combat, too. We’ve not seen an awful lot of the Destiny Islands in the build up to the release of Kingdom Hearts 3, but we do know it will be appearing in the new game. A sensible decision, really, given that the Destiny Islands is the home of Sora, Riku, Kairi, and the miniature versions of several adolescent Final Fantasy characters; not to mention the starting point of the whole, absurdly complicated tale that is Kingdom Hearts. Confirmed at D23, Monstropolis is one of a handful of Disney IPs debuting in Kingdom Hearts 3. 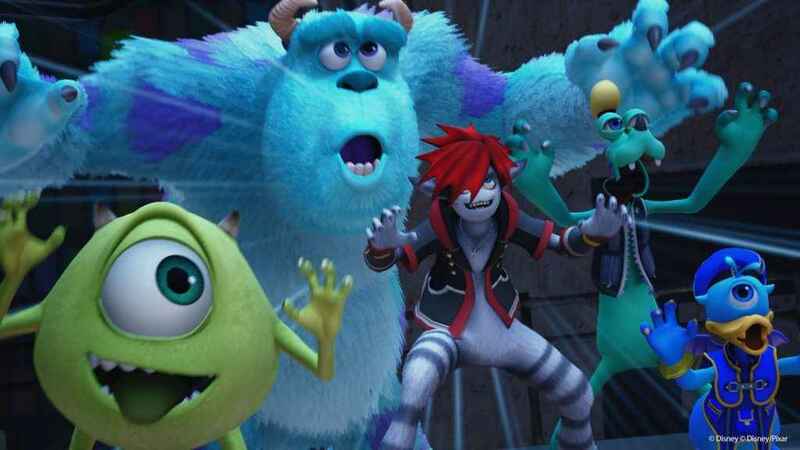 Fan favourites Sully and Mike Wazowski are the first ‘people’ Sora and the gang meet when they arrive at Monstropolis, alongside their adorable human companion Boo, of course, the former looking almost as cuddly as they did in the original 2001 film. While the same trailer also gave us our first glimpse of Sora, Donald, and Goofy’s Monsters Inc. forms. Suffice it to say, they look extremely impressive, slotting in comfortably alongside the other inhabitants of Monstropolis; as do the Heartless Sora and co. come across over the course of their adventures. Not all that much to say about the Olympus Coliseum at present. We’ve seen a few brief scenes from various trailers that, aside from confirming its presence in Kingdom Hearts 3, suggests there be trouble a-brewing in Disney’s take on ancient Greece. But we don’t really know where Sora fits into it all. That being said, it’s probably reasonably safe to assume the Coliseum will continue to function, in part, as an arena for players to test their combat skills against increasingly difficult groups of enemies and special boss fights. Although it would seem that, this time around, it’ll also function as more of a traditional Disney World; with story quests and a certain amount of open space to explore. Compared to Ratatouille, however, we know tonnes about the Olympus Coliseum from Hercules. A few seconds from the extended Kingdom Hearts 3 E3 demo, in which Remy and Sora are to be found cooking up a storm, is all we’ve seen of the Ratatouille star and his Parisian kitchen to date. Well, there’s about 1-2 seconds of video immediately after that which seems to show Sora fighting a bunch of Heartless in the same location, but it’s so fleeting it’s difficult to make out exactly what’s happening. It’s enough to confirm that Ratatouille’s version of Paris will be in Kingdom Hearts 3 and that’s the main thing, I guess. 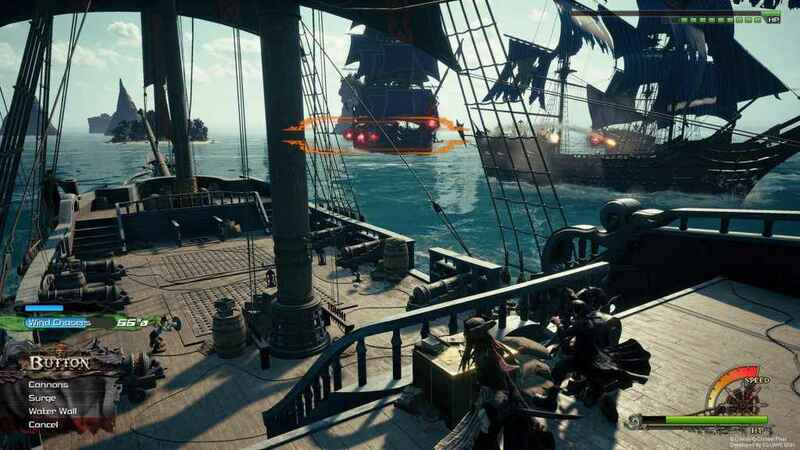 Kingdom Hearts 3 World List: Sail the seas with Captain Jack Sparrow. Making its second appearance in the series (having appeared in KH2), Port Royal is the newest world confirmed for Kingdom Hearts 3. Introduced in the form of its very own trailer. It seems we’ll be exploring a far broader swathe of the Pirates of the Caribbean universe, this time around, investigating underwater tunnels and even journeying all the way down to Davy Jones’ locker, as well as hobnobbing with some of the swashbuckling franchise’s auxiliary characters (Calypso and Mr Gibbs, to name but two). Finally, Port Royale now hosts a rudimentary form of naval combat, complete with broadside fusillades and boarding. Along with Tangled’s Corona, we’ve known San Fransokyo would appear in Kingdom Hearts 3 for some time now. Set after the events of the film rather than before, the world of San Fransokyo in Kingdom Hearts 3 serves as “another love letter to those two great cities” (San Francisco and Tokyo, if that wasn’t obvious) according to Disney Animation Studios Producer Roy Conli. Yet we haven’t actually seen Baymax, Hiro, or any of the other characters and environments we know and love from Big Hero 6 in action at the time of writing. Nor do we know how San Fransokyo fits into the wider narrative or what Sora’s mission is once he arrives there. Perhaps we’ll find answers to these questions in the near future, what with GamesCom just around the corner. Kingdom Hearts 3 World List: Woody and Buzz. Conversely, we’ve seen plenty of the Toy Box in recent months; and it all looks mighty impressive. The interior shots of Andy’s room are almost indistinguishable from the original films, eliciting normally banal comments along the lines of “it’s just like watching an interactive Pixar movie” from games journalists around the world. Though it’s pretty apt in this case. Likewise, Sora, Donald, and Goofy’s Toy Story-themed character models are spot on, while the footage taken from Galaxy Toys that’s been doing the rounds, appears to perfectly capture the sense of fun and wonder that makes the Toy Story films so enduringly popular. But most of all, we’re just eager to jump into one of the awesome-looking toy mechs showcased at D23 2017 and cause a bit of family-friendly, plastic-melting mayhem. Last but not least, we come to Twilight Town which, as revealed by director Tetsuya Nomura himself during an interview with Japanese publication Dengki a few months back, will function as Kingdom Hearts 3’s tutorial world. Alongside Traverse Town, it’s one of the most plot-significant worlds in Kingdom Hearts, so it makes sense for Sora to begin his latest journey at such an important location. 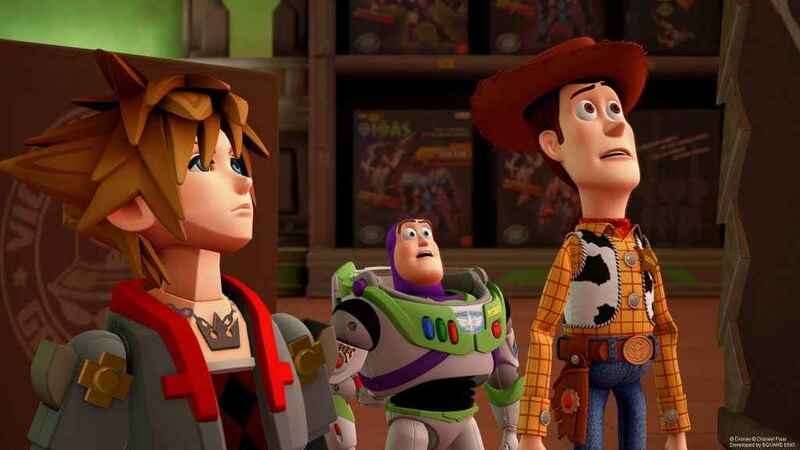 However, we don’t yet know if he’ll be journeying back there during the course of the adventure, or if this is a merely a short, one-time visit – Nomura has implied players won’t be travelling back and forth between worlds in Kingdom Hearts 3, as they would have done in previous adventures. Either way, the main thing is, we know Twilight Town will be making a return in Kingdom Hearts 3. And that’s enough for now. There you go, every locale confirmed (so far) for Kingdom Hearts 3 in one place. We’ll be adding to it as and when any new worlds are announced, of course, so make sure to check-in with us regularly. I mean, there’s bound to be another one or two reveals between now and 29th January – isn’t there? do i have to play all the other ones to play this one?? Spoiler alert? I suppose there are people out there that want to know, but it takes away from the game not finding out while playing. That was one of the coolest things in the first one I thought. do i have to play all the other ones to play this one?